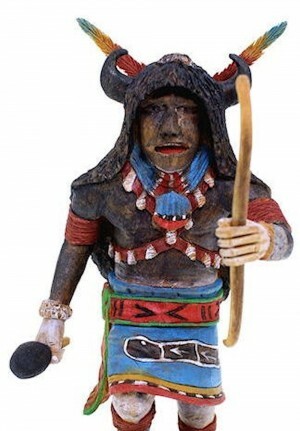 Kachina is approximately 10" tall including a 1-1/2" base, and 5" wide at widest points. Great proportion, and amazing detail. Award winning artist Keith Torres and his work, can be seen in the book, "Katchina Dolls and Their Carvers" by Theda Bassman. He is one of the most creative Hopi Carvers around. 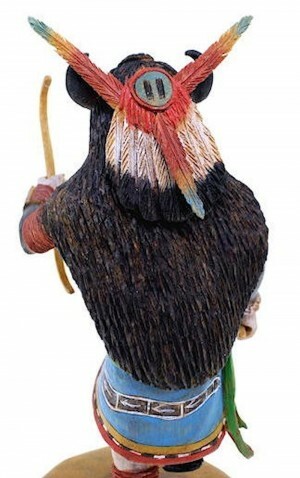 With his own style of carving, Keith has shown an incredible art talent, his carving and detailing combination have produced among the best Kachina dolls to date. 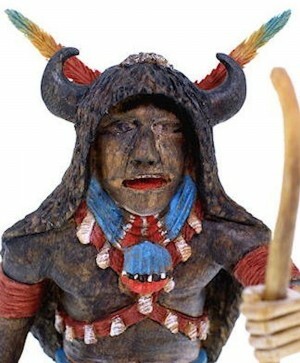 He puts a lot of time and effort into his Kachina Dolls, trying to make them as perfect as he sees them in his own mind. Starting in 1985, Keith was taught how to carve by Edward Poleahla. One of the things he enjoys most in the creation of a Kachina doll is the painting. Keith was born on December 14th, 1963 in Window Rock, Arizona. He is a part of the Coyote and Fire Clans of the Hopi Tribe. 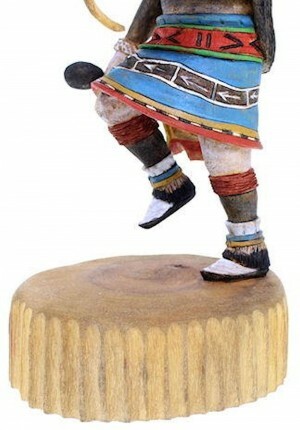 This Kachina Doll is made of cottonwood root and is signed on the side of the base "Keith Torres". If you would like to see a picture of the signature on the bottom of the base or more pictures of the doll please let us know. 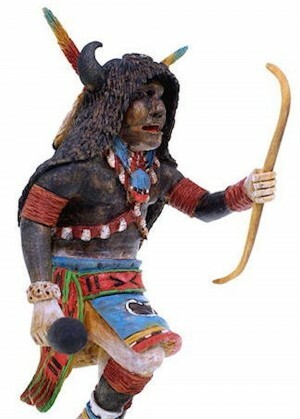 WE ARE PROUD TO BRING YOU ANOTHER AMAZING HOPI KACHINA DOLL!!!!!! 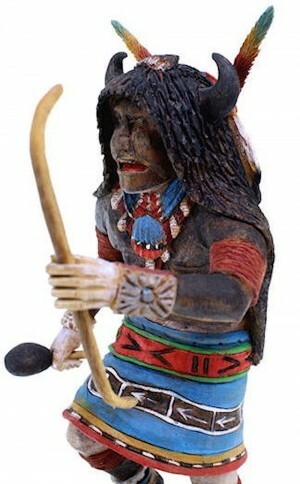 DOLLS LIKE THIS ONE, ARE THE REASON WE ARE THE #1 NATIVE AMERICAN ART SELLER! 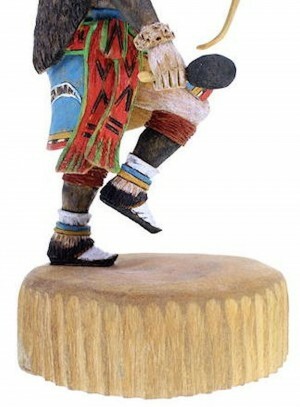 WE BUY DIRECT AND GUARANTEE'S AUTHENTICITY ON ALL OF OUR KACHINA'S.